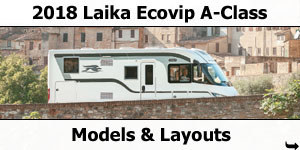 Laika are very passionate in their belief that they build a better motorcaravan than most manufacturers. 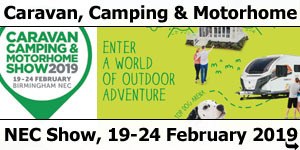 Here at Southdowns we agree with them. They do. 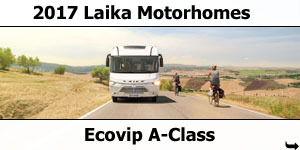 Owning a Laika motorhome means having a “different” motorhome with a unique personality and an unmistakable style. LAIKA is 45 years old. The design and manufacturing of its products now show the experience resulting from many years of study and work. Use Of High-Resistance And Quality Materials. 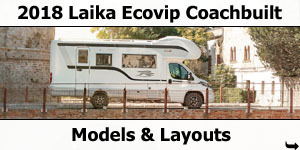 Laika carefully tests all materials used for manufacturing its vehicles. The producers of these materials have to comply with high quality standards in order to become Laika suppliers. Laika strives to always provide highly convenient solutions. Some of these may not necessarily be detected at first sight; they can be thoroughly appreciated only when using the motorhome, such as the independent light switches and a home-like kitchen. Unrivalled Insulation Of The Living Quarters. The thickness of the walls, floor and roof, the type of insulating material (Styrofoam) and its density make all Laika vehicles suitable for use in the winter. For holidays that last all year round. Heated Water Tanks In An Anti-Freeze Position. The Laika water tanks - for both clear and waste water - are heated. With high quality, stiff polybuthylene pipes and fittings and 40 mm diameter drain pipes with siphons. Marine Style Roof Upholstery, With Insulating Effect. The roof of the Rexosline, Kreos and Ecovip motorcaravans is covered with a special marine style material, with anti-stain treatment and insulating effect. 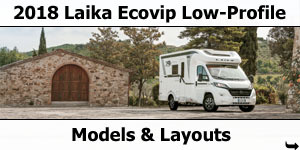 A double floor area in a portion of the vehicle allows the creation of very practical under-floor storage compartments with lighting, accessible from both sides (Ecovip range and Kreos coachbuilts). 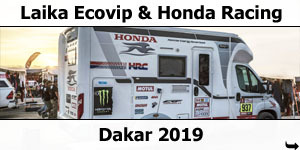 Versatile Equipments In Order To Adjust The Motorhome To Different Travelling Situations. 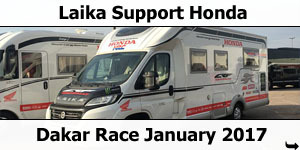 Laika offers the possibility of selecting some fittings to adjust the motorhome to the type of equipment you want to travel with or to your travelling companions. 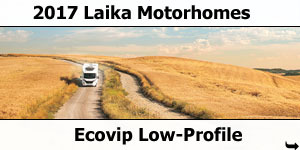 For example, the electrically-adjustable rear bed (available on some models only) or the width extension device of the drop-down bed. 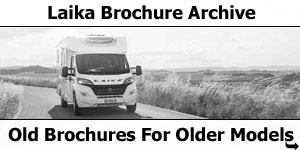 Laika vehicles have been designed with a large number of standard provisions to allow you to easily customise your vehicle. The Kreos coachbuilts and the Ecovip range vehicles are equipped with an electric box on the roof which enables one to install electric accessories with ease. 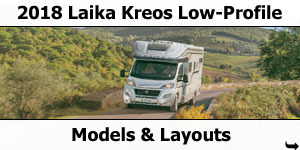 A Laika already possesses as standard everything necessary for a unique holiday, but it is also fitted with provisions to accommodate a broad range of customised Laika accessories. 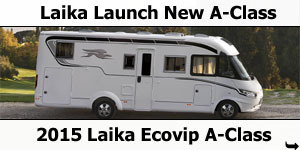 Ask your dealer for the list of all the Laika accessories available and enjoy customising your new vehicle. Please note: the installation of accessories can reduce your loading capacity. Laika Keeps Its Value In Time. 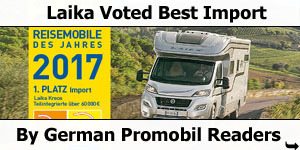 Purchasing a Laika vehicle is a long-lasting investment. Luton Warm Air Distribution System. 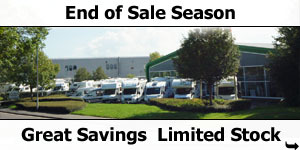 A specialised system supplies warm air to the luton, thus providing exceptional winter comfort. Fixed Double Beds And Luton Beds With Wooden Staves. For perfect night-time comfort. Extra-Comfort Mattresses For Fixed Beds. Extra-comfortable mattresses, specially designed to enhance your sleeping comfort. 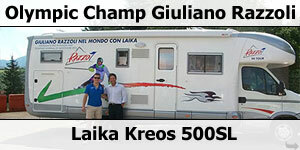 On the Rexosline and Kreos range, extra comfortable mattresses “Laika Sleeping System”, in indeformable, high density material. 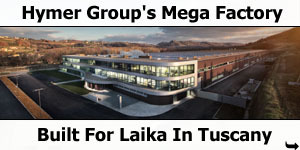 Laika only uses high power systems. To make sure you get the warmth you need everywhere: even in the washroom and luton. Additional Heating For The Living Quarters. 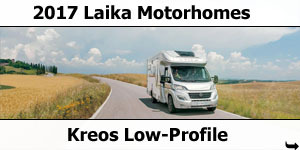 To increase travelling comfort, the Laika Rexosline, Kreos and Ecovip have this feature as standard. It allows passengers seated in the dinette to keep warm during a journey. High Quality Upholstery For Lounge Cushions. Laika cushions are made of high density, indeformable expanded polyurethane with differentiated structure. 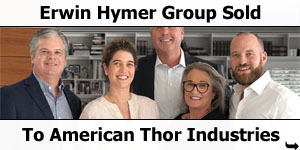 They provide optimal comfort. Domestic Cooker With Four Burners, Grill And Oven. 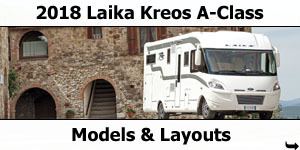 All of the Laika Kreos and Rexosline models have as standard equipment this practical cooker. Marine Style Table, Adjustable In All Directions. Kreos and Rexosline vehicles (as well as X series vehicle with L-shaped dinette version) are equipped with a 360° adjustable table with a telescopic leg. Easy to lower, thanks to a simple button. Central Locking Of All Doors With Remote Control. Not just for the two cab doors but for the living quarters door as well. Fitted with electric safety lock, flyscreen, large fixed window, sliding blind and fitted bin with removable basket. 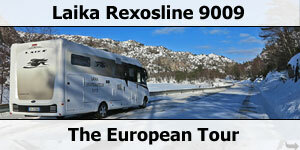 Quality Windows And Excellent Air Ventilation In The Whole Motorhome. 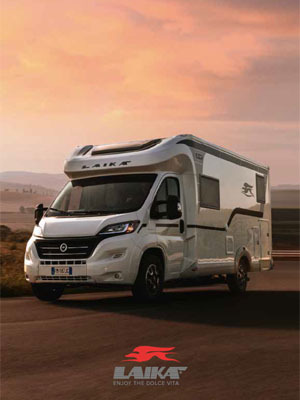 Thanks to several roof-lights and over-dimensioned silver-framed windows, each motorhome area is properly ventilated, to increase comfort onboard. Electric Step Controlled From The Entrance Door And From The Dashboard Sensors On Garage Doors. The step (single or double) also has a buzzer and warning light on the dashboard to alert if the step has been left open. All garage doors are equipped with safety sensors, indicating when a door is not properly closed. An extra safety feature. 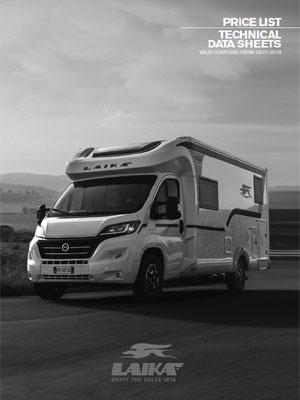 The Laika lutons possess unique features: up to 780 mm of headroom height, extra-comfortable mattresses, condensation-proof bed surface with wooden staves, roof-light, large windows, reading lights and excellent ventilation. On the Kreos and Ecovip range there are also two reading lights on both sides and a courtesy switch which enables to switch on/off a night light in the living area. Lighting With Energy Saving LEDs. On all Laika vehicles (except for Sport 100), the lighting is provided by LEDs. This allows significant energy savings.